Dahlias are wonderful value, producing flowers throughout the summer and giving height to the border. There are many sizes, flower forms and a huge range of colours to choose from. 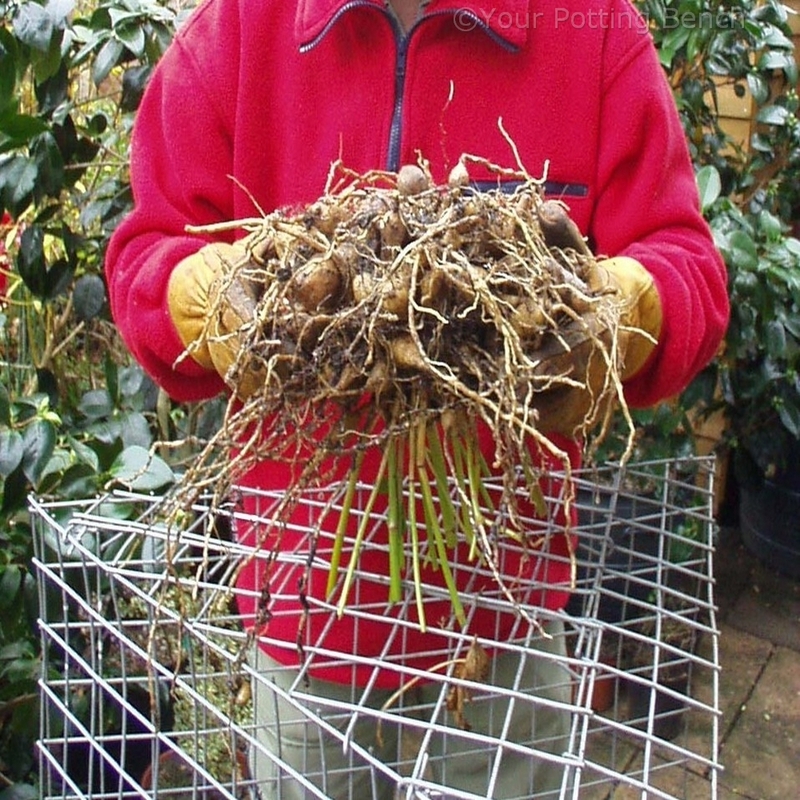 In milder areas, they can be left in the border all year, but in colder areas, or as a precaution to make sure you keep a variety you particularly like, they can be lifted and stored. 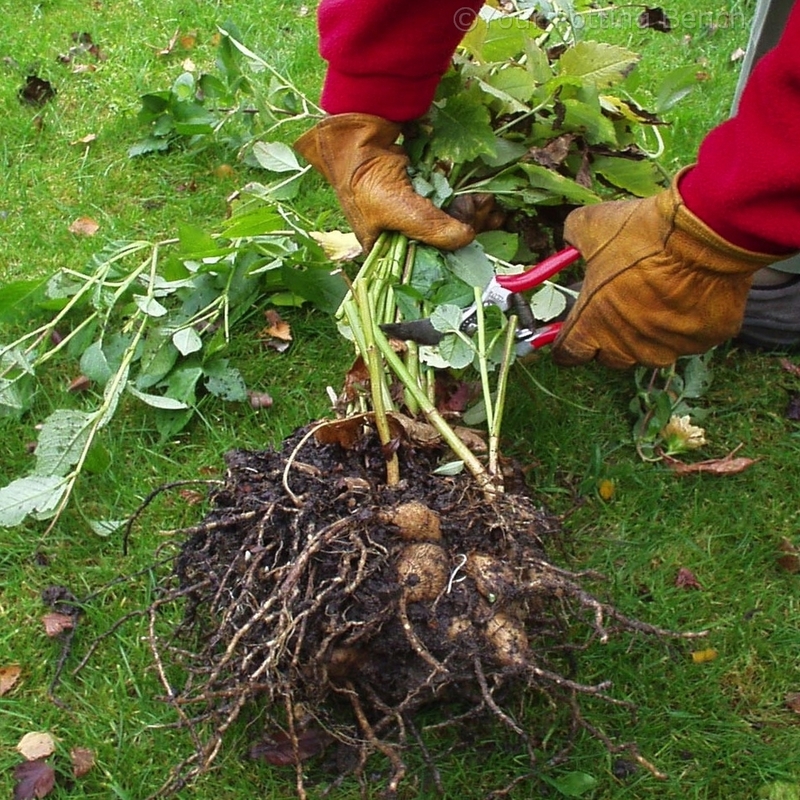 In autumn, as the foliage begins to turn yellow and die down, lift the plant carefully, making sure you do not damage the root tubers. Cut the top growth down to about 15cm using clean, sharp secateurs. 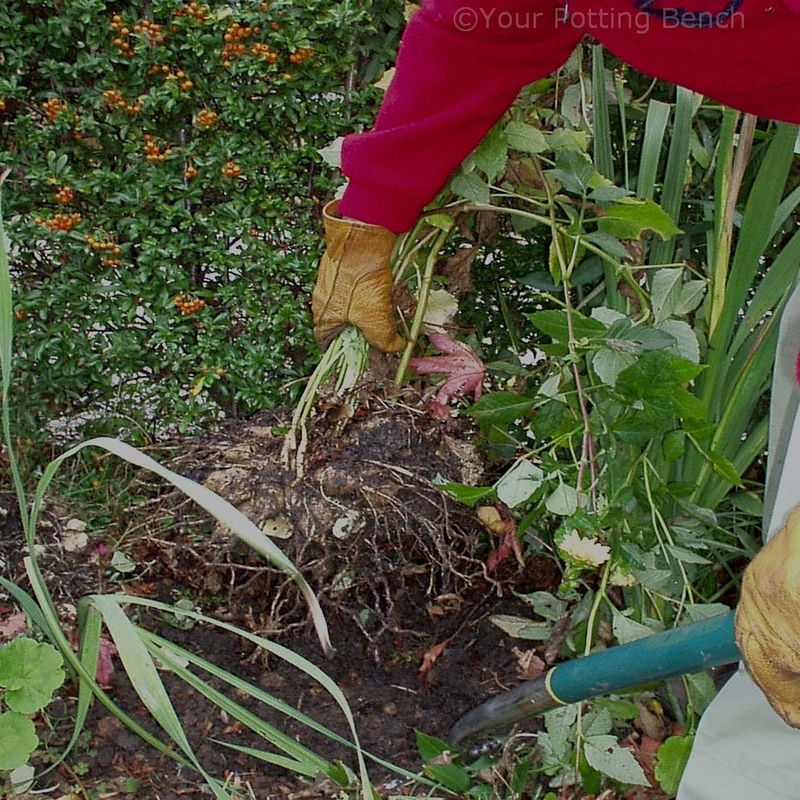 Turn the plant upside down and allow any remaining sap to drain from the cut stems. Leaving it in can result in rotting during storage. 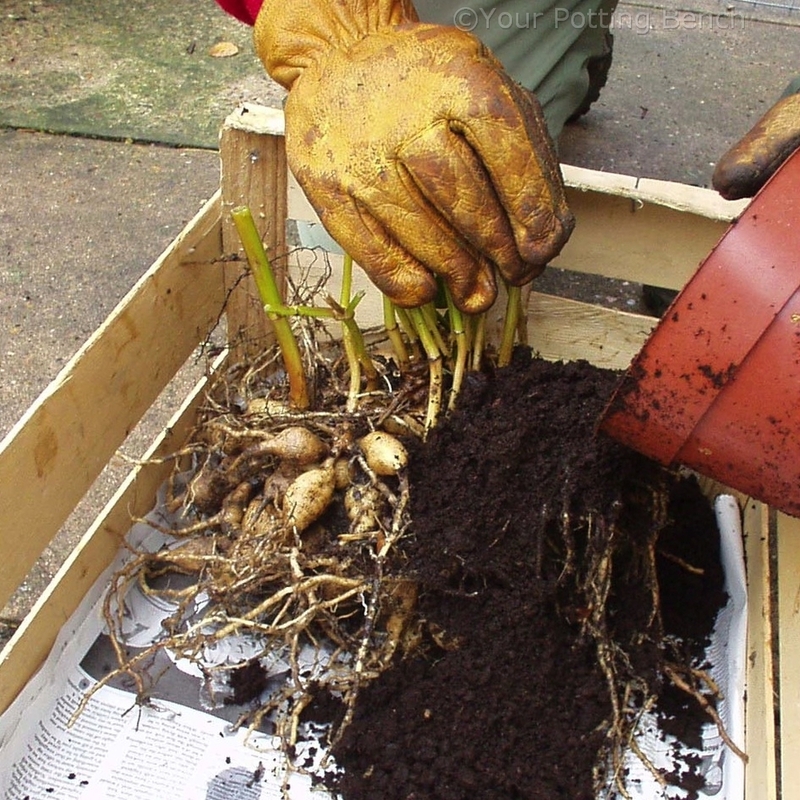 Lay the dry tuber in a box and pack compost around it. You can pack several tubers together, but make sure you label them so you know which is which. Store the box in a dark, frost-free place over the winter ready to plant out again next April/May.